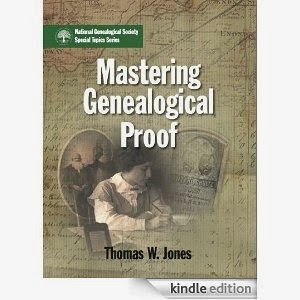 DearREADERS,With today's much anticipated news that Mastering Genealogical Proof is finally available in Kindle format, you'll want advice on how to print the pages from the tablet device. Here are some suggestions from our friends at MakeUseOf: How can I print parts of a book from the Kindle app on my computer? WHAT TO PRINT? Ol' Myrt here suggests printing 'Appendix A: Pritchett article' and 'Appendix B: McLain article.' You may consider printing chapters proving particularly challenging. For me, that would include the infamous 'Chapter 3.' All the better to take notes with my dear! 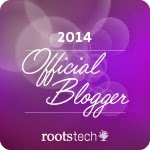 "We will e-mail Cousin Russ (_______@gmail.com) a gift announcement between 12:00am and 3:00am Pacific Time on December 5, 2013." SERIOUSLY, Amazon? The whole point of digital delivery is immediate delivery! So, DearREADERS, be aware that while I received my own copy to my Kindle App on my iPad immediately, gift copies are not delivered until off-peak hours. You're lucky Pat. It's almost Christmas here and I tried to "gift" some Kindle books to relatives who have a player. I was told by Amazon UK that this currently isn't possible here, and to go try the US site. Amazing planning, eh? Thank-you for letting us know about this. I really wanted this book, but the postage to NZ was more than the cost of the book. Off shopping now. Thank you for the heads up; I just ordered one.